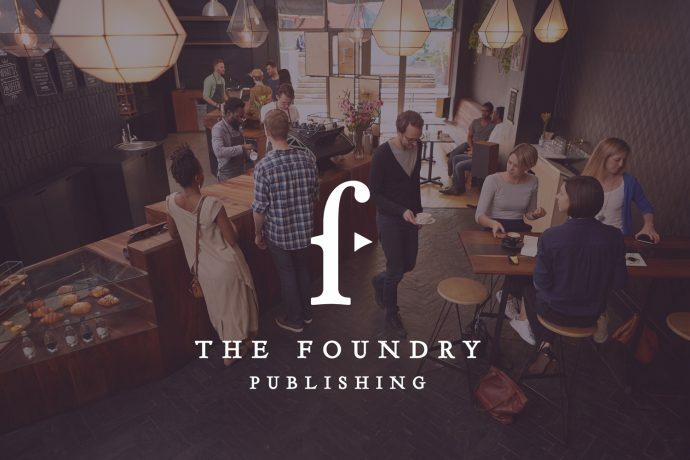 As we head into the new year, we have a new name–The Foundry Publishing. Mark Brown, The Foundry Publishing CEO, answers five questions about the name change and what it means for our future. 1. What prompted the name change? The decision to change the name in North America of NPH to The Foundry Publishing was long in coming! NPH was founded in 1912, and re-branding a 105-year-old-institution was no easy task. The process of making the decision to do business as the The Foundry Publishing was bathed in prayer over a two-year period. Ultimately, our vision for the ministry of NPH is to take the Wesleyan-Holiness message to the world. Through the years, NPH has looked for innovative ways to spread this life-changing message of holiness to an increasingly complex culture. Our hope is that this new name will give us an entry to audiences that might not otherwise consider using our products. 2. How is the mission of NPH enhanced with the name change? The primary focus of NPH and The Foundry Publishing will always be the Church of the Nazarene. We chose our new name because it points us back to John Wesley’s first chapel, The Foundry Church, established in 1739 in London. We are leaning into our past to help us create a new future. We believe that “The Foundry” is a powerful metaphor that anchors us in our rich history but will open the door to new audiences who need to hear the Wesleyan message. 3. What are some of the newer Foundry titles? The Foundry Publishing will focus on theology, spiritual formation, pastoral resources, and youth and children’s ministry. We’re very excited about our new Foundry books including Mildred Bangs Wynkoop: Her Life and Thought, Understanding Your Muslim Neighbor, and Whatever Happened to Evangelicalism?, our recent church-wide initiative for Advent, Long-Expected Jesus, and our downloadable pastor’s resource for Lent 2018, Experiencing Lent. Also, with the launch of The Foundry Kids product line, we have a team devoted to creating ministry resources for children and families. Of course, we are very much looking forward to finishing the New Beacon Bible Commentary set, which is scheduled for completion in 2019. 4. What future projects will be the focus of Foundry? We will be releasing a brand new suite of Adult Sunday School curriculum in March 2018. The new easy-to-use format and streamlined methodology will feature premier Wesleyan scholars such as Drs. Roger Hahn, Carla Sunberg, and Tim Green. In Fall, 2018 we will be releasing a new youth and young adult curriculum, Faith for Life, and in 2019, we will premiere a new children’s curriculum line. Additionally, we will be releasing the Wesleyan Dictionary of Biblical Theology, new lectionary resources for Lent and Advent, updated resources for Nazarene church membership, and two new small group study lines. 5. How will the international presence of NPH be affected? To avoid brand confusion, Nazarene Publishing House will remain our international brand for the present time. We are committed to our faithful partners around the world, and we consider it our privilege to work alongside the six Church of the Nazarene world regions. As in the past, we will maintain our commitment to continue to provide theological content for translation around the world. Historically, we provide an average of 100 manuscripts in 35 languages annually for translation. Likewise, we look forward to continuing to publish international authors in titles such as At the Feet of Jesus (Samantha Chambo), To Be Found in Christ (Christian Sarmiento), and A String of Hope (Min Gyoo Shin). This interview will also appear in the upcoming issue of Holiness Today. One of the many who help run The Community blog.